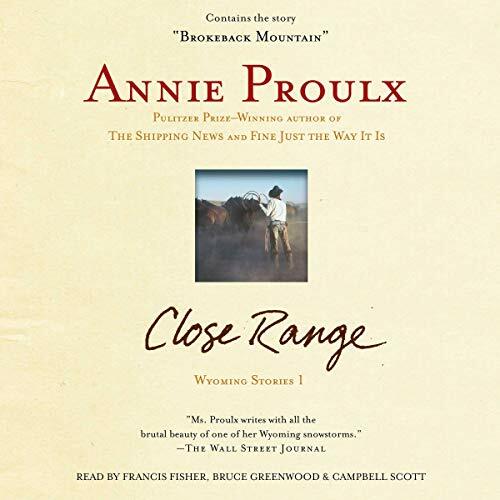 Annie Proulx's masterful language and fierce love of Wyoming are evident in this collection of stories about loneliness, quick violence, and wrong kinds of love. In "The Mud Below", a rodeo rider's obsession marks the deepening fissures between his family life and self-imposed isolation. In "The Half-Skinned Steer", an elderly fool drives west to the ranch he grew up on for his brother's funeral, and dies a mile from home. In "Brokeback Mountain", the difficult affair between two cowboys survives everything but the world's violent intolerance. These are stories of desperation, hard times, and unlikely elation, set in a landscape both brutal and magnificent. Enlivened by folk tales, flights of fancy, and details of ranch and rural work, they juxtapose Wyoming's traditional character and attitudes, confrontation of tough problems, prejudice, persistence in the face of difficulty, with the more benign values of the new west. ©1999 Annie Proulx (P)2004 Simon & Schuster Inc. All rights reserved.